Jim McGovern (Castlebar) was elected President of the Golfing Union of Ireland at the Union’s Annual General Meeting held at Knightsbrook Hotel & Golf Resort in County Meath on Saturday (16th February). 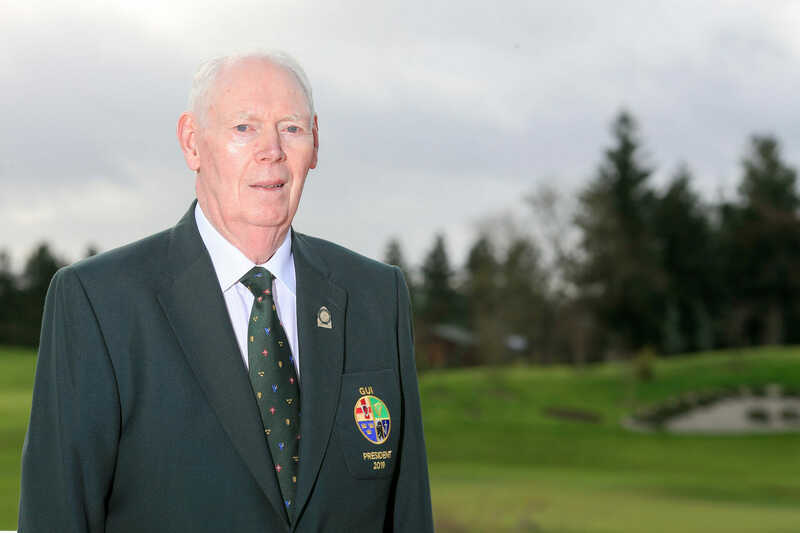 Photo: The 71st President of the Golfing Union of Ireland, Jim McGovern (Castlebar). Golffile/GUI. He becomes the 71st President of the Union and speaking afterwards he said: “I’m looking forward to serving the Union as an ambassador, meeting new people and listening to people to find out their views on how golf can be improved. The Confederation of Golf in Ireland (CGI) continues to help clubs with membership development and McGovern recognises the need for clubs to adapt for the future. McGovern assumes the presidency after years of dedicated voluntary service within the game. After retiring from teaching, he served his club as Honorary Secretary for seven years up until 2006. He was elected to the Connacht Provincial Council in 2004, serving as Honorary Secretary for the Branch from 2010 to 2013 before taking over as Chairman in 2014. He succeeds John Moloughney in the role.